Jeff Seibert is an experienced serial-entrepreneur and currently Senior Director of Product at Twitter. Previously, Seibert was the CEO of Crashlytics, which he co-founded in 2011 with Wayne Chang. Crashlytics delivered crash analysis tools for iOS and Android apps via an SDK that reached 300 Million mobile devices worldwide. Crashlytics was acquired by Twitter in 2013 for $259m. In 2007, Seibert co-founded Increo and served as its COO and lead architect until its acquisition by Box in August of 2009. He subsequently oversaw the integration of Increo’s document preview and annotation technologies into the company’s cloud-based content platform. 1.) How Jeff made his move into the wonderful world of tech? What was it like going to Sand Hill Road to raise in 2009? How much runway would Jeff advise for a startup and how can companies know whether a strategic acquisition is optimal or whether they should continue building with a further round? Jeff has spoke before about being overly transparent with this team about the acquisition. What are the problems with being overly transparent and how can you balance the two? At what point did Jeff transition to thinking the acquisition by Twitter would be a beneficial and viable and why? A reason for Jeff being favourable to the acquisition was Twitter’s agreement of continued investment in the space. How can founders negotiate and ensure that this occurs with their acquisition? One of the mistakes stated about the acquisition by Twitter was the reporting structure. How can founders ensure that they are speaking to the VPs of engineering, CEOs etc and attain the support they need? How life is following the acquisition? What are Jeff’s plans for the future as Senior Director of Product at Twitter? 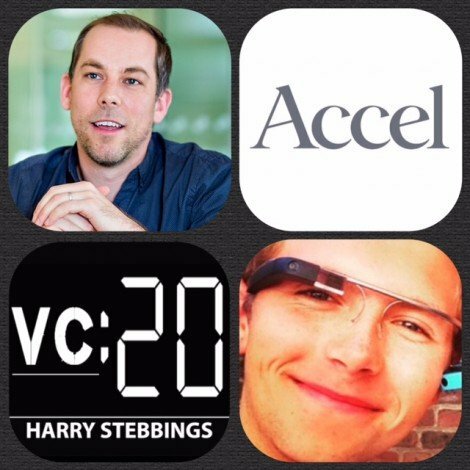 As always you can follow The Twenty Minute VC, Harry and Jeff on Twitter here! Ellie Wheeler is a Partner at Greycroft Partners where she focuses on investment opportunities in next-generation commerce, consumer mobile, and associated SaaS solutions. Ellie manages several investments for Greycroft, including BaubleBar, Flashpoint Intel, Eloquii, and Plain Vanilla Games (QuizUp). Prior to joining Greycroft, Ellie worked in a similar role evaluating investment opportunities at Lowercase Capital with Chris Sacca. Before working with Lowercase, Ellie worked at Cisco where she was involved in multiple acquisitions and investments, including PostPath, Jabber, Xobni, and Tandberg. 1.) How Ellie made her way into the wonderful world of tech and VC? 2.) What were Ellie’s biggest takeaways from working with the legend that is Chris Sacca? 3.) As an investment focus of Ellie’s, how does Ellie think the mobile commerce space has changed and how consumer behaviours are changing in the space? 4.) What are Ellie’s views on push notifications? What are the Do’s and Don’ts? What can be done to make push notifications more effective? 5.) Do wearables change the push notification space? What are Ellie’s views on wearables with their investment in BaubleBar? Are consumers ready for them? 6.) Talking of wearables, how does Ellie respond to hardware investments? Typically a space VC shy away from? What are the problems for Ellie? What attracts her with hardware? As always you can follow The Twenty Minute VC, Harry and Ellie on Twitter here! Bryan Johnson is an entrepreneur and investor. He is the founder of OS Fund and Braintree, the latter of which was bought by eBay in 2013 for $800 million in cash. Bryan launched OS Fund in 2014 with $100 million of his personal capital to support inventors and scientists who aim to benefit humanity. His investments include endeavors to extend healthy human life to 100+ (Human Longevity), replicate the human visual cortex (Vicarious), mine an asteroid (Planetary Resources), reinvent transportation (Matternet), and reimagine food (Hampton Creek), among others. 1.) How Bryan made his start in the world of tech and how he has come to the OS fund today? 2.) What was the pivotal moment in Bryan’s career? When was the turning point? What was was the hardest part of the entrepreneurial journey and how did Bryan conquer it? 3.) 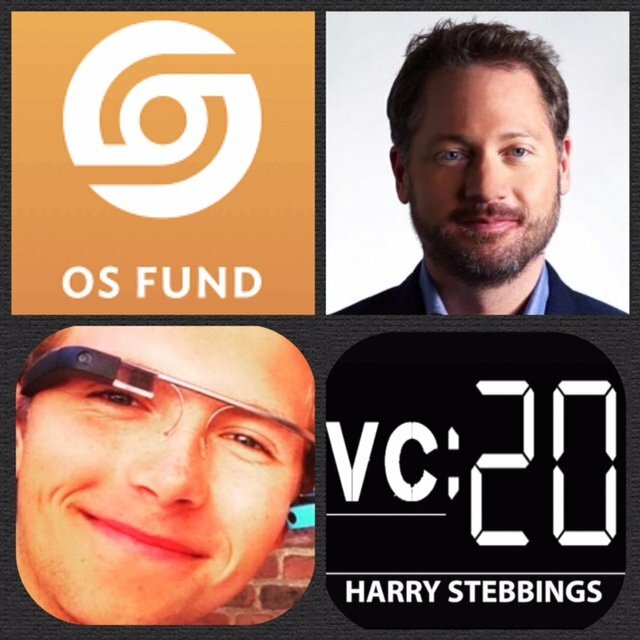 What is the main motivation behind the OS fund? Which areas does Bryan most want to solve and where does he see significant market opportunities? 4.) Does the longevity of return to Bryan’s exits concern him? Most investments exit with 10 years, human lifespan startups take a little longer! What sort of time frame does Bryan have in mind when investing in these companies? 5.) What does Bryan really perceive synthetic biology to mean? Are we seeing improvements in this sector? 6.) The OS Fund have recently released a white paper detailing extensively their process for investing? Why did Bryan decide on this open source style of investing? 7.) What would Bryan like to see more of? Where does Bryan see a lot of people investing that he thinks is a mistake? As always you can follow The Twenty Minute VC, Harry and Bryan on Twitter here! 20 VC FF 031: James Beshara @ Tilt on Crowdfunding For A Mobile World, Finding The Perfect Co-Founder & Beer Pong! James Beshara is the Co-Founder @ Tilt the micro-crowdfunding platform that allows you to receive funding from friends—changing the way collaborative funding works. 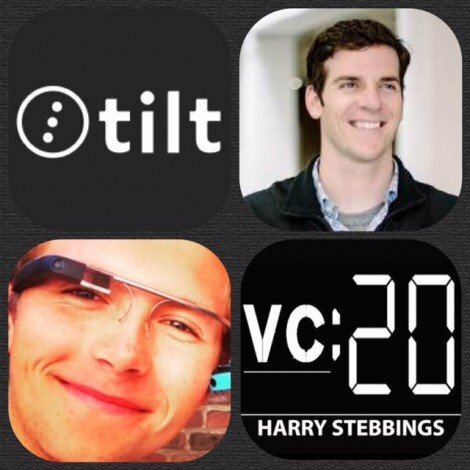 Tilt has raised $37 million from 3 rounds of funding from the likes of Andreesen, SV Angel, Alexis Ohanian, Naval Ravikant and Sean Parker just to name a few. As for James Before co-founding Tilt, he studied Development Economics as an undergrad and then went on to build dvelo.org, a site for crowdfunding loans and donations to poverty-alleviation organizations in developing countries. In order to vote for who you think will win James and Harry’s beer pong match, head over to @twentyminutevc on Twitter and vote using our poll. 1.) What were the origins of Tilt? How did James go from a micro loans collector in Africa to founder of one of SF’s hottest startups? 2.) What does James make of the current crowdfunding landscape? What will it take for crowdfunding to go mass market? 3.) What are Tilt doing to make crowdfunding more bite sized and consumer friendly? How important is the on boarding process for Tilt? How are Tilt approaching customer retention? What are James’ targets for the year ahead with Tilt? 4.) With investors like Andreesen, SV Angel, Naval Ravikant, Sean Parker just to name a few, what the investment journey like? I heard the first funding took 6-8 months and the series A took 6 days with a16z. What changed to turn it around? 5.) On PH LIVE James stated that founding a company is a destination less journey and although admirable I struggle with that from the investors perspective. How did James sell a startup in a pitch with no exit strategy? 6.) What was it that attracted James to the investors that he chose? What value add was James most attracted to? James Cameron is an early stage investor at Accel where he focuses on enterprise software, security, fintech and marketplace businesses. Prior to joining Accel, he founded and ran BipSync, a SaaS-based research platform for investment management. James also spent time on the tech banking team at Morgan Stanley and as a corporate lawyer at Freshfields Bruckhaus Deringer in London, Shanghai and Hong Kong. 1.) How James made his way into the world of startups and investing? 2.) 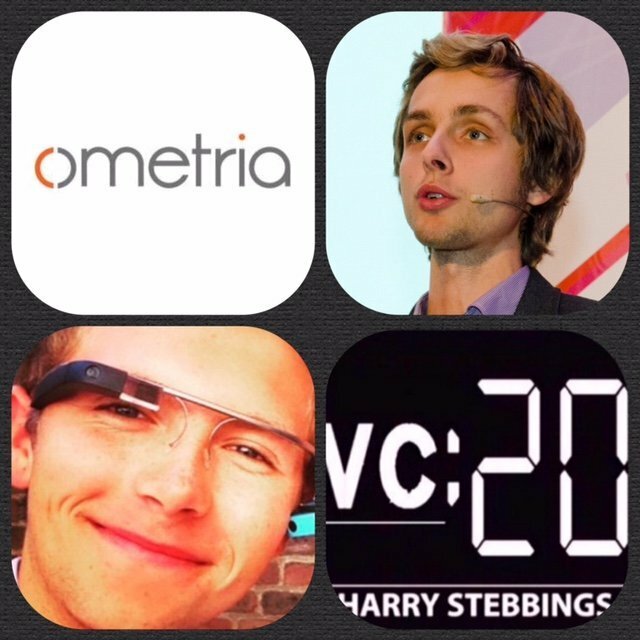 How does James go about finding the needles in the haystack in the sea of amazing startups? Do James use data to find great companies? Do you think this will be a continuing trend, in terms of algorithmic deal sourcing? 3.) What cool stuff has James been seeing in the enterprise software and security sector? Does James think there are any underhyped or overhyped segments of these markets? 4.) One very dominant eco system for tech in general but specifically security is Israel, how do the UK and Israeli ecosystems differ? Is there anything we can do in the UK to harness the spirit encapsulated by the Israeli ecosystem? 5.) What are the catalysts or drivers of these communities’ growth? Do you agree with Marc Andreesen in saying we shouldn’t think about building “The Silicon Valley of X” because the components that make up SV aren’t repeatable and areas should instead specialize on specific verticals, like bitcoin or security. What do you think about that concept? Matt Lieber is cofounder and President of Gimlet Media. In a previous life, Matt produced radio shows (On Point, Fair Game) and podcasts (Slate Culture Gabfest). He also worked as a management consultant at The Boston Consulting Group, where he focused on media and digital business. Then he chucked it all for Gimlet. He holds an MBA from MIT Sloan. 1.) Matt reveals the origins of Gimlet? 2.) What were the dilemmas for Matt in raising Gimlet’s round? What determinant made Matt realize raising was right? What advice would Matt give to founders who are unsure if they should raise or not? 3.) One of the main concerns with raising suggested by Alex Blumberg was that the company would feel like a totally different company, and by different ‘I mean worse’, to quote Alex. So how can a Founder maintain company culture as they grow excessively? 4.) 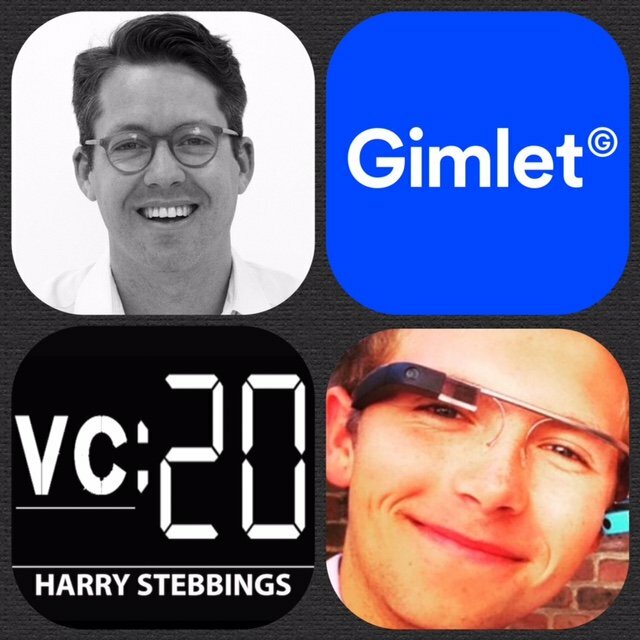 Why did Matt decide to play it cool and not announce to VCs Gimlet were raising? Did Matt expect to get a term sheet as quickly and easily as he did? Were there any hiccups to the funding process? Were Gimlet tempted by any other offers? What value add about Tim O’Reilly made Gimlet most attracted to him? 5.) Question from Matt Hartman at Betaworks: How does Gimlet decide which new shows to create? Is it about creating new shows for an overlapping audience or to expanding audience demographics?? 6.) Where does Matt see the future of podcasting going? Many do not believe in it’s potential to be a big business, what does Matt say? What are the challenges, what needs to happen to combat them? 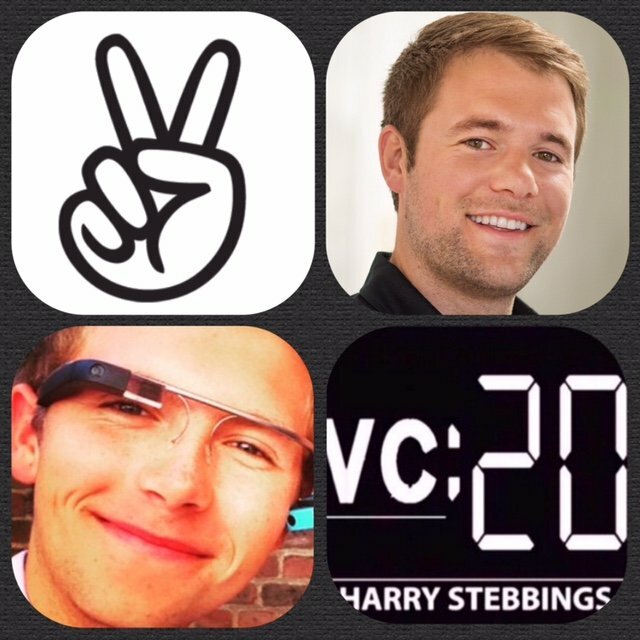 As always you can follow The Twenty Minute VC, Harry and Matt on Twitter here! Likewise, if you would like to see a more colourful side to Harry with many a mojito session, follow him on Instagram here! Kate Shillo is Director @ Galvanize Ventures, a prolific seed fund which acts as the the investment arm of Galvanize — a collection of “tech campuses” that offer coworking space and educational programs in order to encourage continuous learning and helping others to grow. within Galvanize, the organization focused on continuous learning and helping others to grow. To date Galvanize ventures have made an astonishing 48 investments in 2 years. 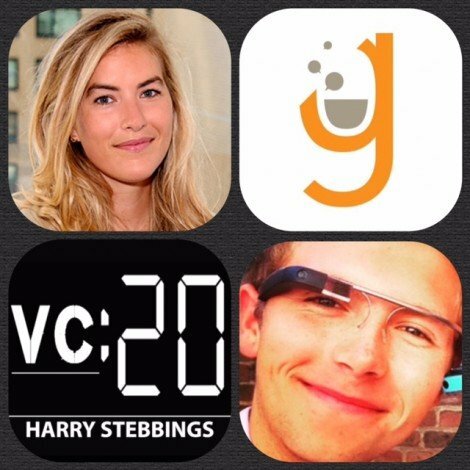 Prior to Galvanize, Kate helped Ken Lerer launch Lerer Ventures, now called Lerer Hippeau Ventures due to the addition of Eric Hippeau who was only the show only recently, there Kate lead the investments in the likes of Venmo and Paperless Post. 1.) How Kate made her way into the world of startups and investing? 2.) What were the biggest takeaways from Kate’s time at Lerer Hippeau Ventures and working with the amazing Ken Lerer? 3.) What was it about Galvanize that made Kate leave LHV and Kate provides a brief synopsis on Galvanize Ventures? Sectors? Stage? Geography? 4.) With 42 investments since Feb 2014. What is the strategy at Galvanize? Galvanize’s sector weighting is largest in mobile, how does Kate view the space and how would Kate respond to the likes of Fred Wilson stating consumer mobile is very difficult with difficult customer acquisition and then even harder, customer retention? 5.) How has the process been for Kate in establishing the fund? 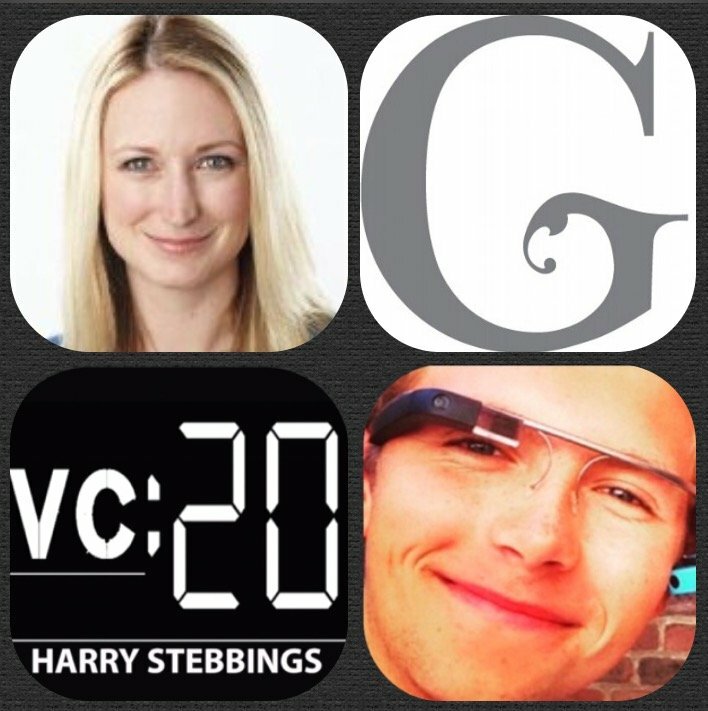 What are Kate and Galvanize’s key differentiators to the sea of other NYC seed funds? How does Kate approach deal sourcing at Galvanize? If investing outside the Galvanize community, what channels are the preferred channels? 6.) Why is Kate so excited about hardware? Where does Kate see the future of IOT going? Is crowdfunding an option for hardware startups? As always you can follow The Twenty Minute VC, Harry and Kate on Twitter here! Ivan Mazour is a serial entrepreneur, investor and author. He is the CEO and Founder of Ometria – a predictive analytics and marketing platform built specifically for retailers, letting them use data to increase revenues and provide an improved customer experience. Alongside this main role, he is also the Founding Partner of Innova Kapital – an early stage VC firm investing in UK-based technology startups, including companies like YPlan and organisations like Entrepreneur First. Ivan also writes a popular blog called “A Young Entrepreneur in London”. 1.) How Ivan progressed from making 30+ investments to founding one of Europe’s hottest startups? 2.) Considering Ivan’s recent fundraising, what does Ivan think of the recent funding environment and landscape? How was it raising venture funding now? 3.) What was the difference between raising an angel round to raising a VC round? Did Ivan have to adapt your pitch accordingly? Do they have differing desires and expectations? 4.) Having raised both VC and angel money recently for Ometria, how has that led Ivan to view his own investing style? Is there anything Ivan looks for or at differently now he has experienced fundraising from the other side? 5.) What have been the hardest and most challenging aspects of growing Ometria? How did Ivan overcome them? 6.) Taking futuristically now on the sector of e-commerce, where does Ivan see the future of technology integrating with retail? Will we see an end to bricks and mortar stores? 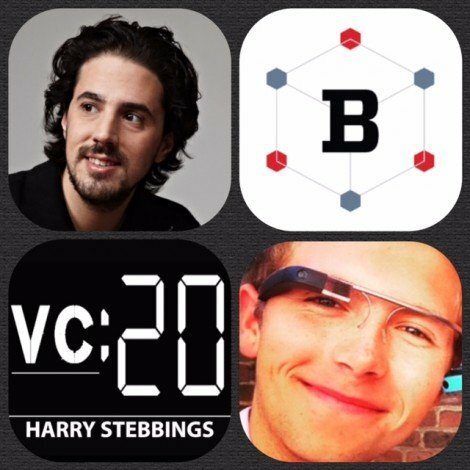 As always you can follow The Twenty Minute VC, Harry and Ivan on Twitter here! Philipp Moehring is Head of AngelList Europe and their first European hire, a role he has had since Jan 2014. Whilst being Head of AngelList Europe, he is also Venture Partner for 500 Startups and prior to 500 and AngelList, Philipp was a Principal at Seedcamp and has been involved in more than 100 startups since becoming an investor. For anyone looking to join an AngelList syndicate, absolutely check out Philipp’s here! 1.) How Philipp made it into startups and investing with AngelList and now 500? 2.) In a recent post Philipp said that management consulting, investment banking and accounting were the worst backgrounds for VCs. Why do you think this and where would you like to see the new breed of VCs emerging from? 3.) Considering your work with AngelList, how do you think the US investing scene differs from the European? Why are we seeing this sudden influx of US capital into European markets? What is driving this influx? 4.) The recent £400m that AngelList received from CSC, Philipp tells us a little more about this and what it means for European companies? 5.) How does Philipp’s role with 500 integrate with the AngelList model? How does Philipp split the time? Is Philipp ever concerned that with the dominance of syndicates in the years to come, VCs will become non existent? As always you can follow The Twenty Minute VC, Harry and Philipp on Twitter here! Check out The Two Minute Takeaway from our chat with Morten for the key facts and themes discuss in the episode. Morten Lund, best know for his seed investment in Skype, he has also founded and co-invested in more than 100 startups including the likes of Airhelp who you might recognize as we interviewed their CEO Nicolas Michaelsen in episode check 32, as well as Bullguard, Maxthon and many more. In today’s incredible interview we talk about the story behind his skype investment, how he went from $150m to bankruptcy moving to the present both with his work with Coders Trust helping coders in developing countries to improve their lives to his rocketship journey with one of the world’s most exciting fintech companies in Tradeshift, who have raised a total of over $200m. 1.) How Morten got into the technology industry and the world of investing? 2.) How did Morten’s investment in Skype come about? How did Morten deal with the bankruptcy and how it changed him as a person? 3.) How does Morten view the current state of European fintech? Where are the significant market opportunities that are yet to be exploited? 4.) Following Morten bankruptcy, he only works with “really cool people”. So what makes Morten like someone and believe in them? 5.) How did TradeShift come about from Morten’s basement? What was the a-ha moment? What has driven the immense success with over $200m invested? What is the future for the company and the future of money? 6.) Looking forward, what is Morten’s main goal and aspiration and how does he plan on attaining it? 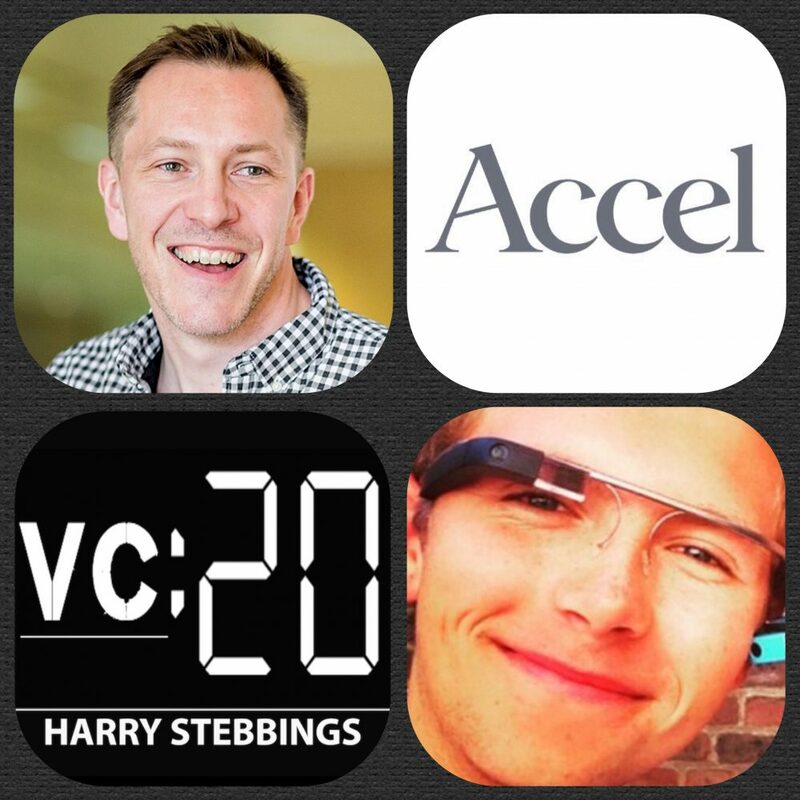 As always you can follow The Twenty Minute VC, Harry and Morten on Twitter here! 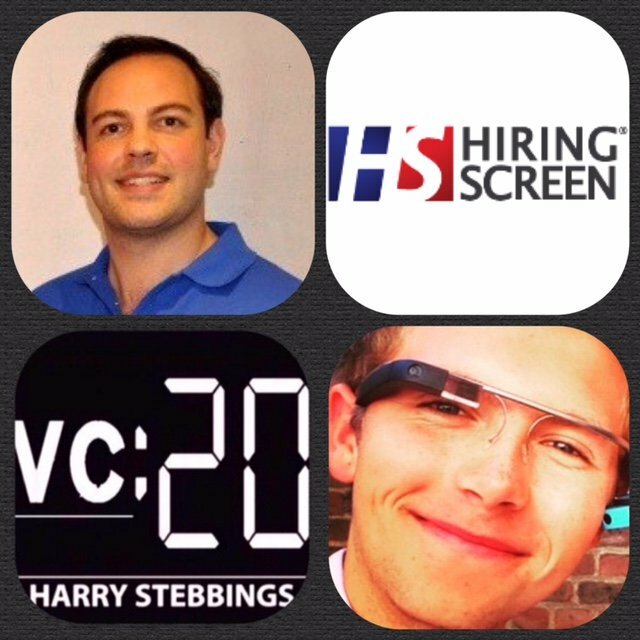 Richard Hanson is CEO and co-founder of HiringScreen, where rocket science meets recruitment. Founded in Jan 2015 in Hong Kong, HiringScreen has raised over $800,000 from a number of investors with plans to expand into the Philippines and Indonesia. Before founding HiringScreen, Richard was an award winning headhunter and recruitment consultancy owner. A special thank you to Mattermark for providing all the data displayed in today’s show and you can find out more about Mattermark here! 1.) What were the origins of Hiring Screen? What was the a-ha moment for Richard? 2.) What advice would Richard give to founders contemplating entering accelerators? What should they look for and why should they be wary of? 3.) Why does Richard believe that a startup with multiple founders is more beneficial than single founder startups? What would he suggest someone looking to find a co-founder is to do? 4.) Why did Richard start Hiring Screen in Hong Kong? What are Richard’s views on Asia’s emerging tech scene? What advice would Richard give to a founder deciding where to start a startup? 5.) What has been the most challenging element of growing Hiring Screen? How did Richard overcome it and alter the company from there? 6.) If Richard were to found Hiring Screen again, what would he do differently? Is there anything he wishes he had known before the process? 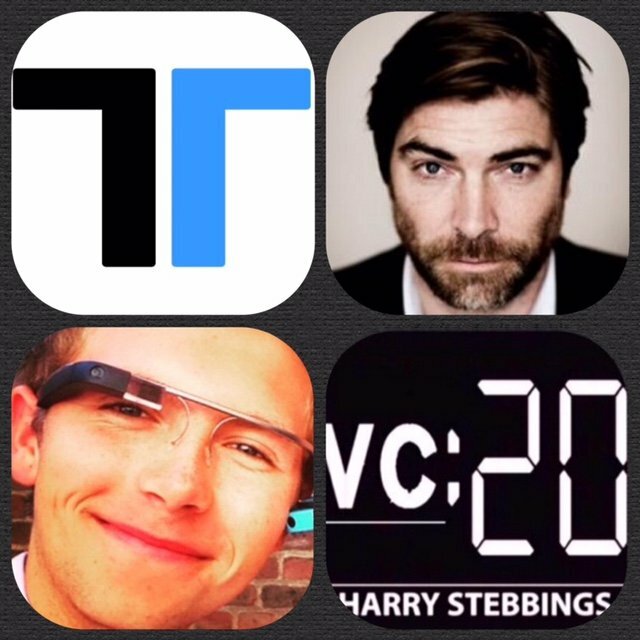 As always you can follow The Twenty Minute VC, Harry and Richard on Twitter here!